When one thinks about the hallmarks of personal integrity, pride of workmanship and affordable luxury, there really is only one name that comes immediately to mind. Since 1972, Décor-Rest Furniture Ltd. has been proudly Canadian; a success story built upon the aspirations of a pair of enterprising dreamers who, now, together with their extended family, reign over an enviable furniture manufacturing empire that includes their 200,000 sq. ft. base of operations in Woodbridge and impressive showrooms in High Point, North Carolina and Las Vegas, Nevada. 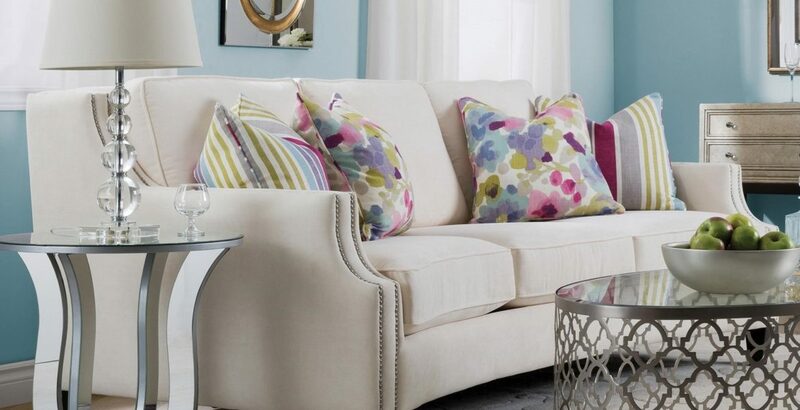 For more than 40 years, Décor-Rest has made it their mission to evolve furniture design into a finely-honed talent for all things that speak to the timeless elegance of a home well-designed. Every blueprint incorporates hardwood frame construction, outer reinforced webbing, along with a uniquely patented siliconized fiber channeled back, warp-free stabilizer bars and twelve gauge no-sag, sinuous spring, technology for the ultimate in luxuriating comfort and extended longevity under normal usage. With time and a dedicated resolve to become the very best, Décor-Rest’s proactive research has evolved to become a standard bearer, delivering outstanding product and service; moreover, a record-holder of the coveted Trillium Award for superior design and marketability. Founders, Angelo and Christina Marzilli remain actively involved in the company they co-founded, along the way, bringing up their son, Angelo Jr. in the family business to navigate the company’s future success as Décor-Rest’s Executive Vice President. With renewed devotion to their ever-expanding staff of more than 300 skilled craftsman and administrators, the Marzilli’s passion for exceptionalism is, today, being disseminated around the world by a knowledgeable international sales team of 30+ representatives. And, in addition to being a leader in the industry, the company is also well-known for its philanthropy and charitable works. “It’s our way of giving back,” says, Angelo Jr. Even so, at the end of the day, it’s Décor-Rest’s product that speaks volumes; the company already looking forward to 2018 with a launch of new colors and fabrics, more integration of metal, as well as soft decorative woods, and, as the downsizing trend continues, re-doubling their efforts on offering a wider array of smaller-scaled products.